We believe that Jesus is God’s Son, a Savior to those who will receive Him as Lord, the answer to our guilt, and our example for living. Jesus, as the Son of God, is the foundation upon which all we preach and teach find their authority and meaning. 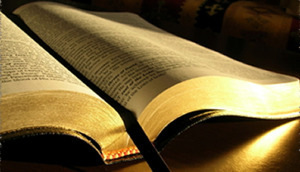 We believe the Bible is God’s inspired Word, absolutely necessary for our study and application. We have no creed but Christ; no book but the Bible. We believe there is but one Church, made up of all those who are personally related to God through His Son Jesus. We encourage the unity of all Christians and believe that this unity can be achieved when love for Christ is greater than love for man-made traditions. We do not claim to be the only Christians, but strive to be Christians only. Independent Christian Church refers to the fact that we are a locally autonomous (we have no denominational affiliation) congregation. Men divide the Church with denominational labels, names, and creeds, which is confusing to most. Our goal is not to lead people to be any specific denominational Christian (“Baptist” Christian, “Catholic” Christian, “Presbyterian” Christian, “Charismatic” Christian, etc.) but to be simply Christians. Though we are a locally autonomous congregation, there are many other churches like ours.